Everything is better in two’s: tropical drinks by the pool side, Netflix binges with a friend, and of course pool days. 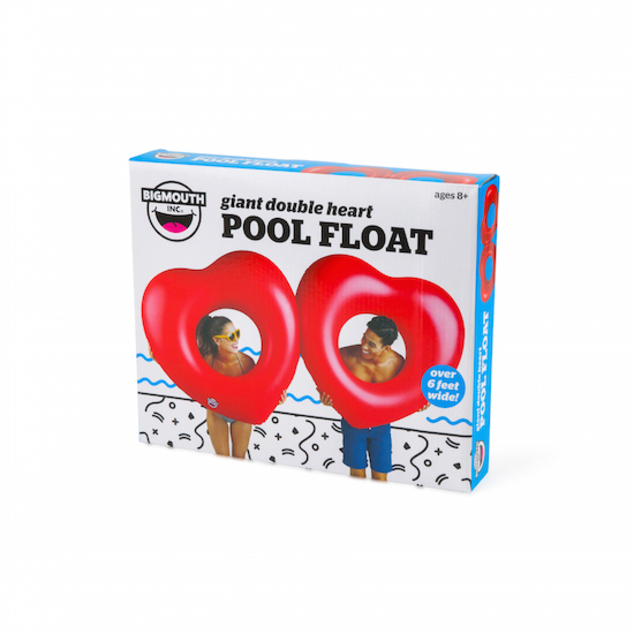 Our Giant, two-person Double Hearts Pool Float hits the sweet spot by keeping you and your bestie afloat. It’s 6 feet long, and attached in the middle so you and your buds are never too far apart.